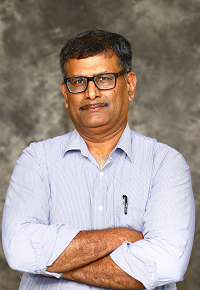 Giridhar Rao (“Giri”) brings over 20 years of rich technology experience to GenY Labs. He was instrumental in designing, developing and architecting valuable technology solutions at British Telecom, Ernst & Young LLP, GSK and Nike amongst others. Exploiting non uniform memory architecture (NUMA) for performance and writing PERL, SED, AWK scripts to extract patterns from data are his core strengths. His expertise and passion lies in real time analysis of big data, graph theory, machine learning and prediction. An avid traveller, he loves ancient civilizations and philosophies. He feels there is much to learn from the mathematicians and thinkers who discovered Pi, Golden ratio and the like! Giri is a MS in Mathematics from Indian Institute of Technology, Kharagpur.